Author Lisa Lenzo on turning real life into stories: Is it fiction or nonfiction? THIS CONTEST IS NOW CLOSED. Congratulations to Lori in Oscoda, Michigan! WIN A SIGNED COPY OF STRANGE LOVE! Share Lisa Lenzo’s essay on Facebook or Twitter by using the links at the bottom of this post. Then leave a comment below with your Twitter handle or email so I can contact you if you win. The winner will be chosen randomly on Sunday, November 30. Raised in Detroit, Lisa Lenzo now lives in southwestern Michigan, where she drives and dispatches for the local bus company and writes. Lenzo’s first story collection, Within the Lighted City, was chosen by Ann Beattie for an Iowa Short Fiction Award and published by the University of Iowa Press. 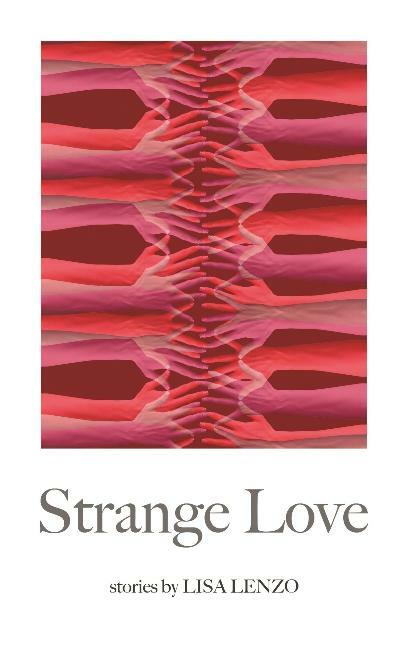 Lenzo’s second story collection, Strange Love, was published by Wayne State University Press through their Made in Michigan Writers Series in May of 2014. Lenzo’s short fiction and essays have appeared in The Mississippi Review Prize Issue, Michigan Quarterly Review, The Italian-American Reader, Birth: A Literary Guide, Sacred Ground: Stories About Home, and Fresh Water: Women Writing on the Great Lakes. One of Lenzo’s stories won a Hemingway Days Festival Award and another was chosen for a PEN Syndicated Fiction Project Award and read on NPR. She has recently finished a novel, Taking the Blue Star, which made the top twelve for the 2012 James Jones First Novel Award. “Strays,” one of the highlights of Strange Love, was the winner of the 2013 story contest sponsored by The Georgetown Review. Of course, most readers don’t know the details of my background like my mother does. Yet I’ve had people who’ve just met me say they can tell that my stories are autobiographical. A little later in our conversation, this editor, who is also a playwright, said, “What people really say is better than what you can make up.” We went on to agree, though, that it’s when your imagination riffs on real dialogue that magic happens. We start with odd and inimitable bits of what we say and hear, and then, like jazz musicians, we embellish and improvise, we reach for something higher. This is just as true of other aspects of realistic literature—certain settings, characters, and events are also better when they are transformed. Yet it seems that readers are so thirsty for the truth that they like to believe that realistic fictional stories occurred just as they are written. When I’ve tried to show readers that I’ve made up more than they thought, when I’ve picked apart a story, telling a class or reading audience, this is true and this is not, they always seem a bit deflated when I’m finished. It’s as if I’ve dissected a living thing before their eyes to show them how it was put together, and sure, now they see how it was made, but the living thing they liked is dead. Of course, it’s also hard work to write solely from the real; it’s both laborious and tricky to choose from among the thousands of possible actual details, to untangle them from the parts you don’t want to include, and to decide how best to arrange and frame them. Before I begin to write a particular piece, I ask myself, Should this be fiction or non-fiction? Do I want to have access to fiction’s greater freedom, or do I want to hold onto that extra weight and power a story manifests if it is strong enough un-re-imagined, because then the reader reads it thinking, This really happened. When I was eighteen, I took off to live in the woods with just my dog, and in the following weeks, three boys were murdered in two separate incidents less than a mile from my campsite. I decided to write that story just as it happened. On the other hand, sometimes a greater truth can be revealed through fiction than by sticking to the facts. In a story from my first collection, set during the ’67 Detroit riots, a white father is arguing with two white policemen who have stopped a thirteen-year-old black boy who was simply walking down the street where the boy, modeled on a neighbor, and the man, based on my father, both live. In real life, all of the policemen who patrolled our neighborhood during that riot rode with their high-powered rifles sticking out the windows of their cars, but neither of these two cops, while I was watching from our front porch, aimed his rifle at our young black neighbor, which is how I wrote it in my story. Sure, I chose to write it like that partly because it gives the story greater tension. But I also wanted to honor a larger truth. By having the cop point his rifle at David’s back, I bring to life, for a brief moment, the forty-three people who died during those three days of police and National Guard occupation, most of whom were black boys and men who were shot while fleeing. By pointing to this fictional boy with the tip of a policeman’s rifle, I point to all the living boys and men who were gunned down. “When I’ve recovered from them,” I told her. At the time, I was divorced and in the midst of writing stories about my dating life. I would come home from another strange and disappointing yet humorous date and think: “This is ridiculous. This is hilarious. I’ve got to write this down.” After I’d turned a bunch of journal entries into three stories about a divorced mother, I saw that several more stories would make a collection. I ended up with five long stories, which I showed to my writing group. They asked for “more Marly,” the character based on Cloey, who at that point appeared only in the mother’s stories and only briefly. So I cut the length of each of the mother’s five stories by half and gave Marly–and Cloey–four stories of her own. I didn’t ask Cloey’s permission about what to include, so when she read the finished stories and told me she liked them, I was relieved. But what about the men in Strange Love? I wasn’t in touch with any of them anymore, and I didn’t want to look them up. Besides, I decided long ago that I have the right to write about my own life, and, of necessity, that pulls in the lives of others, since our lives overlap and intersect. I can’t write woman-meets-men stories without including the men. And the man on whom the title story is based had sat beside me on my couch one night while reading “his” story right after I first wrote it, and, rather than objecting, as I feared he would, he laughed a lot. I had included a lot of personal information about him, yet I hadn’t revealed any secrets. There’s a whole storehouse in my brain of dark and fragile things various people have told me through the years that I’ve marked off limits and which I haven’t repeated in words, either spoken or written, and never will, without their consent. Still, I feel uneasy at times about the men I have included in my love stories without much camouflage or their permission. On the night I was told that Wayne State University Press was going to send me an advance contract for Strange Love, I went to sleep feeling troubled and sorry for these flawed yet decent men whom I would be, to an extent, exposing. But in the middle of the night I woke up with this thought in my head, spoken in the dialect of the neighborhood where I grew up: Motherfuckers should have known not to mess with a writer. Perhaps something to that effect should be printed on a T-shirt for me to wear, or else tattooed on my neck, just below my smile. Sometimes I want to throw my hands up and say, What does it matter what I call it or how I write it? But of course these questions and demarcations are important. Yet to what degree remains unclear, at least for me. So then how should I proceed? I haven’t arrived at any resounding ethical or creative conclusions. I’ll likely be struggling with how to approach my fiction and nonfiction for the rest of my writing life. And each answer, like each story, novel, memoir or essay, will be individualized, unique. So I continue to stumble along with my pen flowing across the page and my fingers tapping on the keys, and then I try to reshape what I wrote into the truth as I know it. Sometimes the result is fiction; at other times, it’s nonfiction. Either way, I’m trying to say, in the best way I can, what I know and what I think is worth telling. I thoroughly enjoy Lisa’s stories. They are so real and with good reason. It’s the way she explains things, situations, feelings that take you right to where she’s going and it’s a great ride. But like a great ride, you don’t want it to end and are surprised it ended so soon. It leaves you wanting more.